Featuring a unique ‘oxidised’ finish, the Almeida Table Lamp by Heathfield & Co creates a striking focal point in a bedroom or living room. 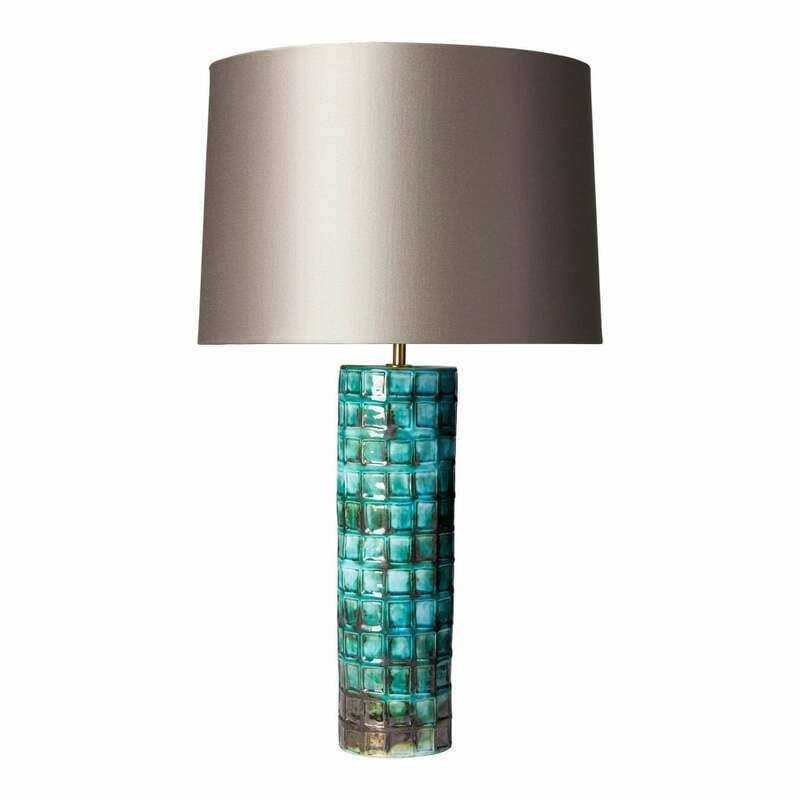 The aquamarine hue and highly textured form is complemented by on-trend metallic detailing. Embossed squares with a crackle glaze accentuate the vibrant colours providing character and intrigue in an interior scheme. Style with a metallic, satin shade for a luxurious look. Shades are available in a variety of fabrics and colours. Make an enquiry for more information.